The term “algorithms” is increasingly used as shorthand to describe complex, large-scale socio-technical systems such as social media platforms, analytic systems, recommendation engines, and personalization that depend on frequently opaque and constantly changing computational algorithms. With the explosion in analytic and tracking technologies and a flourishing market incapturing and re-selling this information, the full scope of the inputs used by algorithmic methods is also often unclear. Effort has gone into understanding the behaviors and potential biases embodied in such systems, but much less well explored is how to document their constantly changing behaviors at a given point in time. 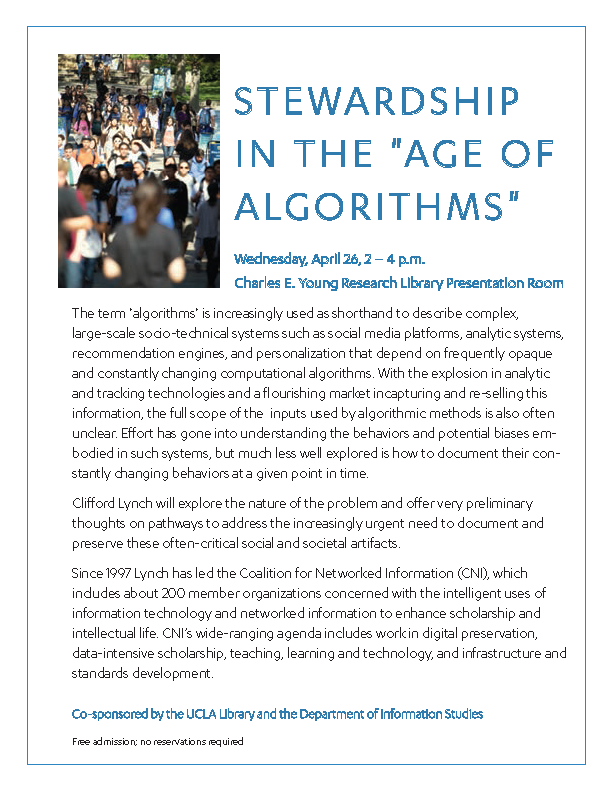 Clifford Lynch will explore the nature of the problem and offer very preliminary thoughts on pathways to address the increasingly urgent need to document and preserve these often-critical social and societal artifacts. Clifford Lynch has led the Coalition for Networked Information (CNI) since 1997. 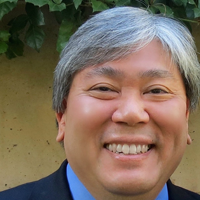 CNI, jointly sponsored by the Association of Research Libraries and EDUCAUSE, includes about 200 member organizations concerned with the intelligent uses of information technology and networked information to enhance scholarship and intellectual life. CNI’s wide-ranging agenda includes work in digital preservation, data intensive scholarship, teaching, learning and technology, and infrastructure and standards development.